To find out more about how the Green Day Authority site came about, click here to read more. "Quote from Green Day Fan Site"
"GDA is delighted to be working alongside Wootton Bassett Rocks to help them achieve their goal of raising £1 million to go towards military charities for returning soldiers. Green Day fans all around the world can relate to the feelings of loss and despair that result from wars, and we want to help wherever we can to show our support for the people that make it home after putting their lives on the line fighting for their country's freedom." "When i first saw the video to WB Rocks cover of Wake Me Up When September Ends, it blew me away! It was inspiring to see a community come together like that for a cause such as this. It's the kind of spirit and involvement that we try to encourage on our site with The Green Day Community. The video itself really reminded me of the "American Idiot The Musical" version of the song, and it's extremely uplifting for a song with sad meaning behind it." 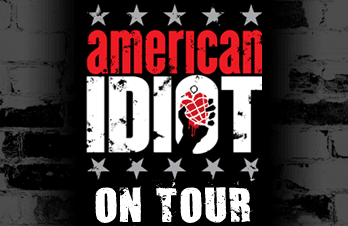 Green Day's explosive, award-winning Broadway musical American Idiot, will get its premiere in the UK in 2012 with a major national tour featuring a thrilling American tour cast, culminating in a London season at the legendary HMV Hammersmith Apollo. Click here for more info. However, with the foresight of pre-approval and with the project moving at such a pace, we decided to work with Limepark Studios to design a new logo that was independent of the iconic American Idiot album cover, but stayed true to the design. The original Wootton Bassett Rocks poster was based around the American Idiot album as the track 'Wake Me Up When September Ends' was from that classic album. We replaced the grenade with the town's crest and the fighter jets with the Hercules, synonymous with the town of Wootton Bassett and the repatriations, keeping the colours and fonts the same. Green Day's seventh studio album was recorded April 2003 - March 2004 at Studio 880 in Oakland, CA, USA. Work on the album began after the master tapes were stolen for another album the band was working on titled Cigarettes and Valentines. Recording of the album was filmed by John Roecker, who made a documentary titled "Heart Like a Hand Grenade" which remains unreleased - although 30 minutes of it were shown on TV and a screening was shown in March 2008 in Los Angeles, CA, USA for fans. 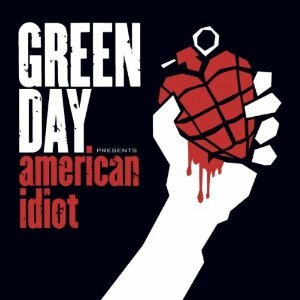 American Idiot was released on September 21, 2004 and gave Green Day a resurgence of popularity and sold over 15 million copies worldwide, making it Green Day's second most popular album. In 2009 the album was released as musical, more info can be read here.